Posted by peterong in Asian American Ministries, Rants, Reflections. This labor day weekend at ECBC was one filled with such a mosaic of emotions (delight, challenge, stirring, and joy). As I arrived at Camp Mariah, I was eager to reconnect with this community that has fueled so much of my passion and love for people. As the conference began and as each hour passed-the faces of the familiar (those teens whom i served are now adults and worshipping besides me) and the brothers and sisters who are now married and sharing in our journey of the reliving our altar moments, I am stunned by the latent crying out for God’s glory… this community has always seemed to seek me out and despite that I have temporarily paused from being there with them while in in the process of developing and providing for this ministry-it has invigorated me to rediscover a vocabulary of “Here I am” on this endeavor of serving and capturing the work of redemption of our community. Posted by peterong in Asian American Ministries, Christian News. 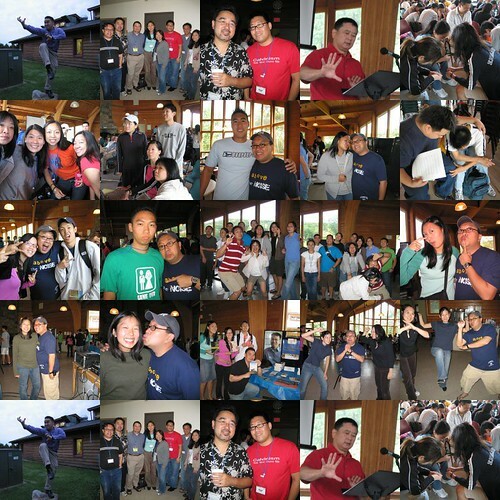 VALLEY FORGE, PA (ABNS 8/8/06)-Asian American Baptist church leaders anticipate they will gain renewed vision for their ministries during events in Seattle, Wash., August 17 to 19. A retreat for pastors, seminarians and young adults will be held first, leading into the First Asian American Baptist Convention, which begins August 18.